A big hello to all my blogging friends...Well I was on a holiday so was missing from the blogging action . I am back with this healthy and yummy recipe of PITA POCKETS -a nutritious meal ready in few minutes! In a blender mix all ingredients adding water to adjust the consistency.Hummus is ready. 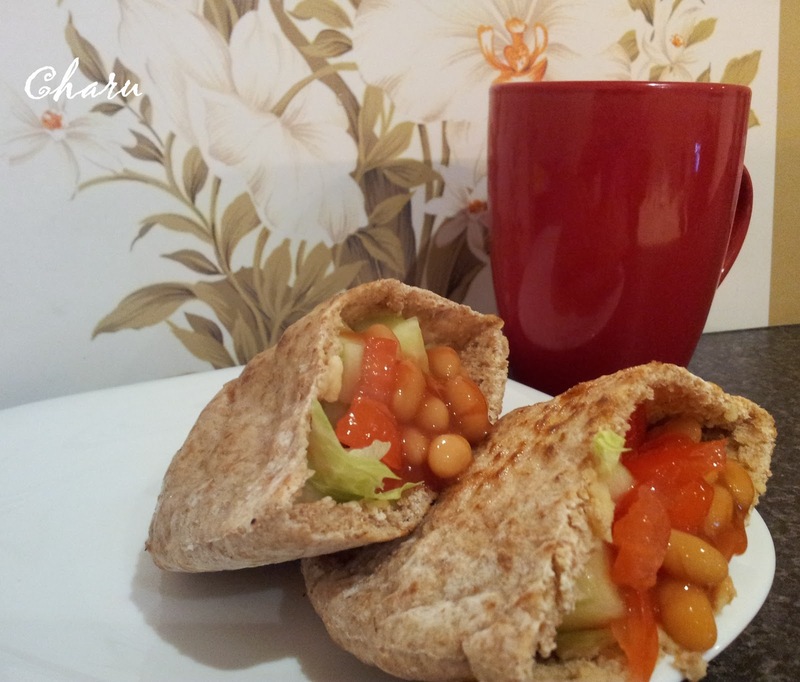 To make Pita sandwiches toast the pita bread applying butter/oil on a pan.Now spread some hummus inside the pocket.Fill it with lettuce tomatoes cucumber and top it with baked beans. 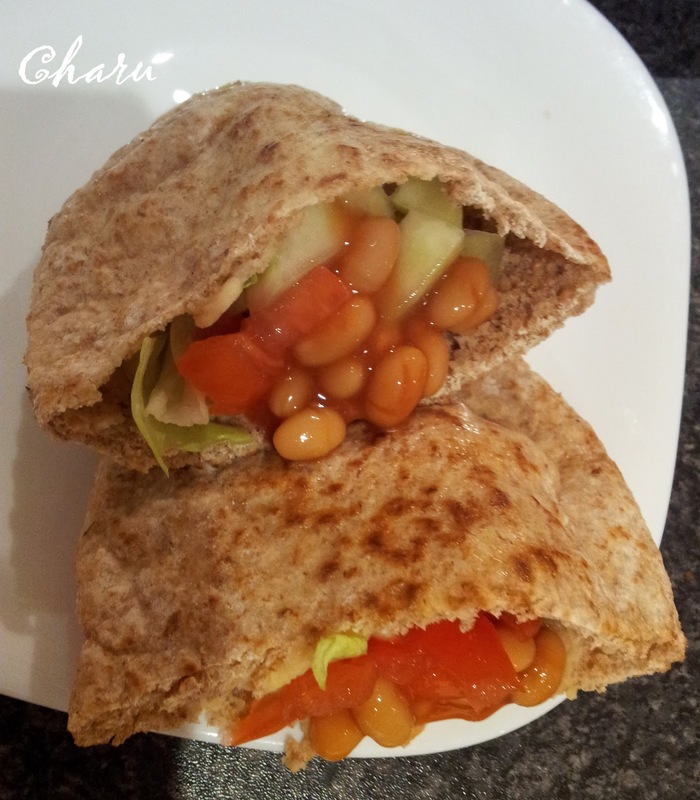 Your yummy and healthy pita pockets are ready!!! Delicious n tempting pita pockets! thanks so much for ur lovely comments !!!!!! Delicious looking healthy meal. Nice one.